XXIII, 422 p., 15,6 x 21,6 cm. With English translations by Elisabeth Vorspohl. Introduction by Roger E. Money-Kyrle. In the course of her groundbreaking discovery of early object relations in infants, Klein developed concepts of an internal world of objects, of the impact of primitive, unconscious fantasy on the perception of internal and external reality and the ego as well as well as of two positions, the paranoid-schizoid and the depressive position. These led to a deeper understanding not only of early childhood development and disturbances in children but also of deeply disturbed narcissistic patients, borderline and psychotic patients. 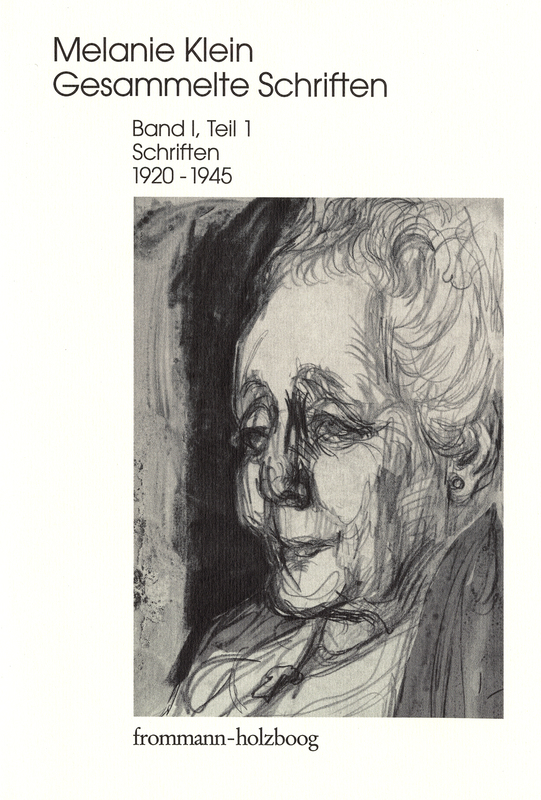 The fact that German psychoanalysts were also increasingly confronted with narcissistic personality disorders and borderline patients was one of the main reasons for the growing interest in Klein’s theories and practice. Die Falldarstellungen in ihren Arbeiten [sind] von solcher Präzision, dass man die Entwicklungen der Denk- und Deutungsfolien Kleins von damals bis zu den Wandlungen von heute ganz im Privaten noch einmal nachvollziehen kann. [...] Der sinnliche Gewinn beim Lesen [liegt] hier um ein vieles höher [...] als in aktueller Literatur: Man taucht ein wenig ab in die nostalgischen Ursprünge der Disziplin, und obschon wir wissen, dass diese alles andere als friedlich waren, ist das Lesen dieser Texte einfach ein Genuss. Zwanzig Jahre nach dem Erscheinen der englischen Gesamtausgabe ihrer Schriften wird das Werk dieser bedeutenden Analytikerin dem deutschsprachigen Leser endlich zugänglich gemacht.